Doing this will not stop you being hacked or fix your site if it is already hacked but still it is essential! You should always ensure your WordPress is at the latest and greatest version. The WordPress team work hard to creates patches to help fix security holes so benefit from their hard work. Check the official WordPress site for the latest version here . The easiest way to check if you are using the latest version is to login to your WordPress admin account and go to the updates panel. As mentioned even if you are updated your site can still be vulnerable to a hacker but still this helps a LOT so why not make it harder for the hackers and keep fully updated. Yes Update ! we cannot stress it enough. To prevent your wordpress website from being hacked – Update Update Update!. 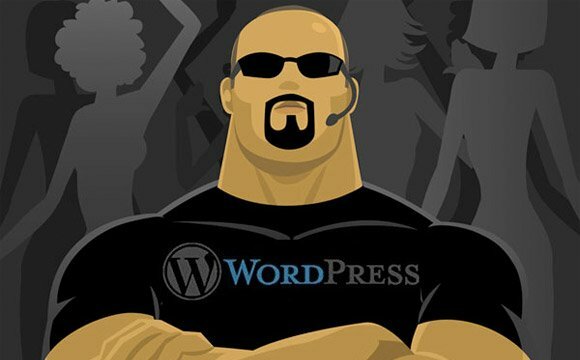 Update all your WordPress plugins and themes continually. Thousands of websites are hacked daily due to them using outdated plugins and themes installed on them. It is incredibly important to update your site as soon as a new plugin or theme becomes available. Most hacking these days is performed as an entirely automated process, with bots searching Google using ‘Google Dorks’ finding vulnerable sites and probing them for exploitation opportunities. It is not good enough to update once a month or even once a week because bots are very likely to find a vulnerability before you patch it. Unless you are running a website firewall like our SharkGate – WordPress protection from hackers (which protects your site 24/7 and our team keep you safe), you need to update as soon as immediately updates are released. The moment new vulnerabilities are found hacker bots are already searching for websites with them. This is why you will see security bloggers mentioning that if you have not updated a certain plugin (revolution slider, gravity forms,etc) within hours from a vulnerability release date your site has a good chance of being hacked. If your follow @OneHourSiteFix on Twitter we will help keep you notified about important updates and security warnings. So why is this important clients ask ? well say for example you set the index.php file on your site with permissions that anyone in the world can update it. A hacker could then update this file and redirect every visitor that comes to your site to their own malicious site. Okay we could do a full post just on this topic (we will make sure we do soon) and it is a key one in how to &apos;prevent your wordpress website from being hacked&apos; so here is some quick notes and guidance on locking down the access to files and directories on your WordPress installation. If you place your site behind our SharkGate – WordPress Protection the hackers then have to get through our ‘Hacker proof gateways’ to reach your site so this part of &apos;prevent your wordpress website from being hacked&apos; is automatically handled for you by us. Nice hey! We have so many hacked sites that come to us that have previously purchased a ‘daily website Scan service’ from another company. The companies that sell these services are naughty in that they use a lot of marketing terms like “websites security” , “prevent your wordpress website from being hacked”, “secure your site” when actually these scanning services offer your site no protection from hackers. They just let you know if you have been hacked and actually often they fail in doing that. We’re sure you will agree its much better to stop hackers in the first place with SharkGate™, rather than just promising to let you know when you have been the victim of another hack and go through all the hassle of getting it fixed again. We believe in doing the right thing for our customers. Okay this tip is not really a security one and maybe we should not add it to our &apos;10 ways to prevent your wordpress website from being hacked&apos; list but we felt we had to. A s if you don&apos;t use our services to prevent your wordpress website from being hacked then this is essential !. Unless you are an up and coming security expert and can spare the time each day to keep your site fully watched then backup your site. This is even more important if you try to fix your website yourself if it is hacked. That could be your first time at cleaning a website which means a good chance of breaking your website. Backup all the files of your website and do a full database backup. Stores these files on a different server than your current website. The easiest and fastest way to answer this question ‘how do I prevent your wordpress website from being hacked ?’ is to use our SharkGate – WordPress Protection. After that sit back and relax whilst we to the hard work to prevent your wordpress website from being hacked. We automatically stop hackers from attacking your website. Imagine if your website was a nightclub, then SharkGate™ would be your friendly but firm doorman. He would welcome all those clubbers you want to let in and politely turn away those intent on causing mayhem – the sharks as we call them. You do not need to install any software or changing your hosting company and our friendly engineers can activate it for your site in less than 5 minutes and they promise not to talk techie, unless you want to!.